Alessia, an active young lady diagnosed with mitochondrial disease at 18 months, has been bravely defying the odds ever since. In 2001, her sister Jesse succumbed to the same disease, shortly after her diagnosis at 18 months. While the doctors weren’t hopeful about Alessia condition, she proved them wrong. Not only did she beat the odds of survival, she continually strives to live life to the fullest. She does regular physiotherapy and osteopathy and keeps active with swimming, wheelchair tennis and horse therapy. 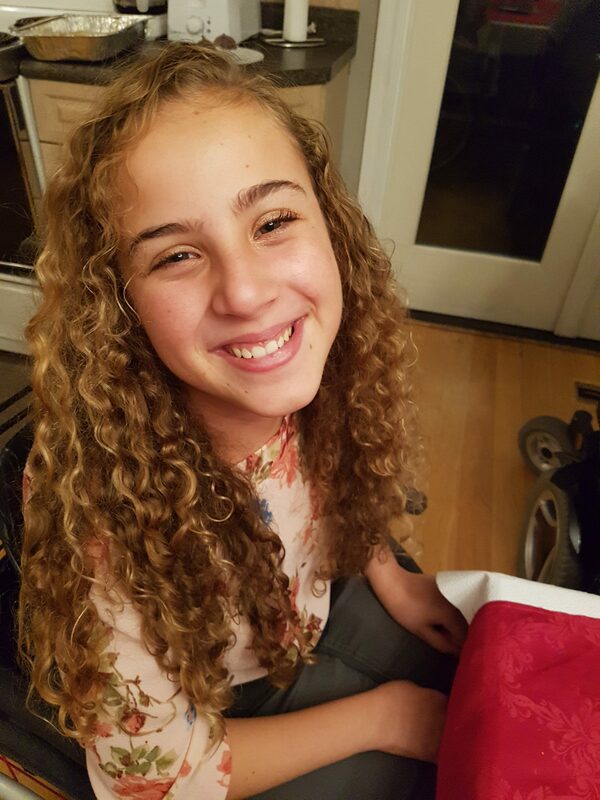 Alessia is blessed to have an incredibly supportive family, who understands and champions her complex needs. Just 4 years ago, Ben was in London, England watching Canada’s men’s and women’s wheelchair basketball teams compete at the 2012 Paralympic Games. Today, the 19 year old Edmonton lad is in Toronto training full time with Team Canada, at the Wheelchair Basketball Canada Academy. Ben has degenerative mitochondrial myopathy but that hasn’t stopped him from living a full life. Sure he requires the use of a wheelchair and a BiPap machine to breathe at night, lots of medication and doctor visits, but he’s a wonderful, independent young man who has worked hard to learn how to pace his life so he can live well with his mitochondrial disorder. He’s graduated from high school, is a part time college student and, perhaps most incredibly, he is a high performance wheelchair basketball athlete. Betty is a wife, mother and grandmother who was diagnosed with mitochondrial disease a scant six years ago. Suddenly falling ill, Betty was admitted to hospital, her condition a mystery for almost 6 weeks. As her husband despaired at the lack of a clinical diagnosis as his beloved wife’s health deteriorated, he watched as her weight dropped to below 80 pounds and she hovered perilously close to death.“I will never forget the day” recalls husband Chuck “when an intern made the connection to possible mitochondrial disease and arranged for our family to meet McMaster Hospital specialist Dr. Mark Tarnopolsky”. Within 48 hours, Betty was on an intravenous cocktail of nutrients, a treatment that started her on the road to improved health and a return home. Today, the disease has affected Betty’s ability both to hear and speak. Since 2014, her family has raised tens of thousands of dollars for the MitoCanada Foundation, in hopes that greater awareness by health-care professionals will help reduce the long term implications of a delayed diagnosis. 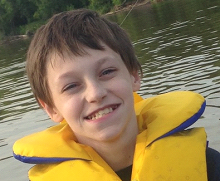 Brandon was diagnosed with a mitochondrial disease when he was one. 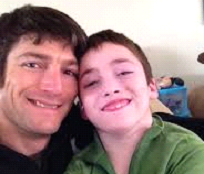 The disease makes it hard for Brandon to walk or stand, and has left Brandon unable to speak. He communicates with sign language, and more recently technology. But despite his illness, he exudes optimism. He loves school, loves to fly and loves his family’s support. Brandon’s wheelchair doesn’t keep him from the Winnipeg Blue Bomber or Winnipeg Jets games, nor from camping or travelling. To everyone around him, Brandon is an inspiration. Frankie G passed away shortly after his first birthday from mitochondrial disease. He was a happy baby, always smiling. He enjoyed swimming lessons, baby dance, music, yoga classes and storytime. Whoever was lucky enough to meet Frankie, always remarked about his chubby cheeks and cute smile. Although he lived a short life, Frankie left a lifetime of special memories and continues to inspire the Annual Frankie G Pub Night event in lower British Columbia. Kate died of a rare form of mitochondrial disease at eight years old. Life was difficult for this bubbly, blonde-haired beauty, who struggled to walk and speak but loved singing a few words of “O’Canada” at school. Kate liked princesses, play-dough, pasta and being outdoors. Always laughing and giggling, she brought her indomitable spirit to how she lived her short life. 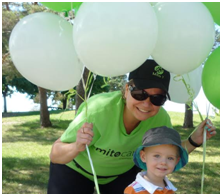 Walking is a challenge for Louise, but that hasn’t stopped her from building her MitoPower team of walkers that show up to support MitoCanada’s annual awareness and fundraising walk. Together with her sister Rita (who also has mitochondrial disease), Louise powers through despite the difficult walking distances and keeping up with other people. She takes this all very seriously by training hard and never giving up. Even her walking coach, Jennifer, is amazed at Louise’s effort and commitment. 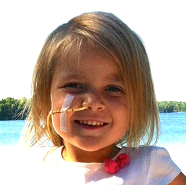 Marilyn was diagnosed with a mitochondrial disorder in 2012. Like so many others, she went for 10 years without being properly diagnosed. 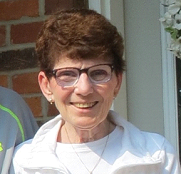 Now, with a modified diet, lifestyle changes and medications, Marilyn is able to continue to do the things that bring her joy, including strapping on her lifejacket and heading out to practice with her dragon-boat team. Paddling is an important part of her life, having discovered how to move her body in a different way and with that comes a feeling of freedom on the water. Marilyn’s teammates have been incredible support both physically and emotionally. Tayden was diagnosed with mitochondrial disease as an infant, but defies the disease despite having low muscle tone and muscle weakness. As an infant, he did not have the muscle strength to drink from a bottle resulting in the need for a NG feeding tube for 6 weeks. As a toddler and preschooler, Tayden attended regular physical therapy and occupational therapy sessions. Tayden took his first steps 4 months after his 2nd birthday. Several summers ago,Tayden was playing with a family friend and ended up with a broken leg. Due to the type of fracture, he spent an entire 8 weeks immobile and then in a wheelchair. His family was very concerned that he would have much difficulty walking once out of his cast, but he bounced right back. Today, Tayden is smart and funny who loves to participate in sports with his friends. He currently participates in an after school Taekwondo program, and is about to take his next belt test to become a green-stripe. Do you have a story to share? 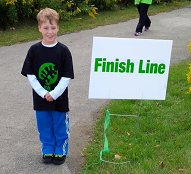 Contact us at info@mitocanada.org and enter “share my story” in the subject field.